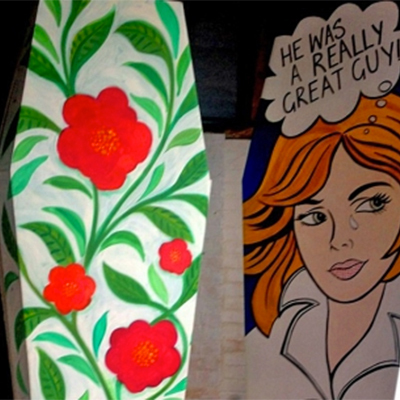 The coffin or a casket is the centrepiece of most funerals in the Western world. They can be environmentally unfriendly and their appearance rarely relates to the person within. Can design reduce a coffin’s environmental impact and improve the mourners’ spiritual experience? Join inventor Richard Gray as he explores creative opportunities to bury our dead.